Emmanuel Titus de Silva, who was better known as Titus Thotawatte, was the finest editor in the six decades of the Lankan cinema. He was also a great assimilator and remixer – a ‘builder of bridges’ across cultures, media genres and generations. Titus straddled the distinctive spheres of cinema and television with a technical dexterity and creativity rarely seen in either one. Both spheres involve playing with sound and pictures, but at different levels of scale, texture and ambition. Having excelled in the craft of making movies in the 1960s and 1970s, Titus successfully switched to television in the 1980s and 1990s. There, he again blaze his own innovative trail in Sri Lanka’s nascent television industry. As a result, my generation remembers him for his television legacy whereas my patents’ generation recall more of his cinematic accomplishments. Titus left an indelible mark in the history of moving images. The unifying thread that continued from 16mm and 35mm formats in the cine world to U-matic and Betacam of the TV world was his formidable genius for story telling. Titus de Silva, as he was then known, was a member of the ‘three musketeers’ who left the Government Film Unit (GFU) in the mid 1950s to take their chances in making their own films. The other two were director Lester James Peries and cinematographer Willie Blake. Lester recalls Titus as “an extraordinarily talented but refreshingly undisciplined character” who had been shunned from department to department at GFU “as he was by nature a somewhat disruptive force”! In the star-obsessed world of cinema, the technical craftsmen who do the real magic behind the cameras rarely get the credit or recognition they deserve. Editors, in particular, must perform a very difficult balancing task – between the director, with his own vision of how a story should be told, and the audience that fully expects to be lulled into suspending their disbelief. Good editors distinguish themselves as much for what they include (and how) as for what they leave on the ‘cutting room floor’. The tango between Lester and Titus worked well, both in the documentaries they made while at GFU, and the two feature films they did afterward: Rekava was followed by Sandeshaya (The Message, 1960). They also became close friends. At his own expense, Titus also accompanied Lester to London where they re-edited and sub-titled Rekava (into French) for screening at the Cannes festival of 1957. As Lester recalls, “Titus was a great source of moral and technical strength to me; his presence was invaluable during sub-titling of the film”. 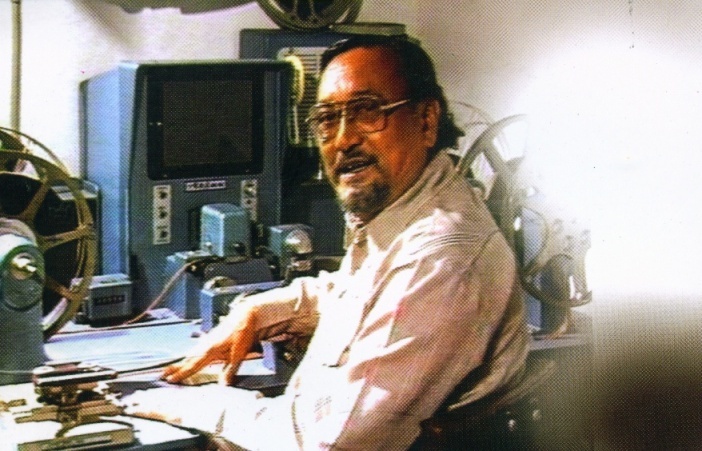 In all, Titus edited a total of 25 Lankan feature films, nine of which he also directed. The cinematic trail that started with Rekava in 1956 continued till Handaya in 1979. While most were in black and white, typical of the era, Titus also edited the first full length colour feature film made in Sri Lanka: Ran Muthu Duwa (1962). His dexterity and versatility in editing and making films were such that his creations are incomparable among themselves. In the popular consciousness, perhaps, Titus will be remembered the most for his last feature film Handaya – which he both directed and edited. Ostensibly labelled as a children’s film, it reached out and touched the child in all of us (from 8 to 80, as the film’s promotional line said). It was an upbeat story of a group of children and a pony – powerful visual metaphors for the human spirit triumphing in a harsh urban reality that has been exacerbated in the three decades since the film’s creation. Handaya swept the local film awards at the Saravaviya, OCIC and Presidential film awards for 1979/1980. It also won the Grand Prix at the International Children and Youth Film Festival in Giffoni, Italy, in 1980. That a black and white, low-budget film outcompeted colour films from around the world was impressive enough, but the festival jury watched the film without any English subtitles was testimony to Titus’s ability to create cine-magic that transcended language. Despite the accolades from near and far, a sequel to Handaya was scripted but never made: the award-winning director just couldn’t raise the money! This and other might-have-beens are revealed in the insightful Thotawatte biography written by journalist Nuwan Nayanajith Kumara. Had he been born in a country with a more advanced film industry with greater access to capital, the biographer speculates, Titus could have been another Steven Spielberg or Walt Disney. Titus Thotawatte was indeed the closest we had to a Disney. As the pioneer in language versioning at Rupavahini from its early days in 1982, he not only voice dubbed some of the world’s most popular cartoons and classical dramas, but localised them so cleverly that some stories felt better than the originals! Working long hours with basic facilities but abundant talent, Titus once again sprinkled his ‘pixie dust’ in the formative years of national television. In May 2002, when veteran broadcaster (and good friend) H M Gunasekera passed away, I called him the personification of the famous cartoon character Tintin. I never associated Titus personally, but having grown up in the indigenised cartoon universe that he created on our television, I feel as if I have known him for long. Therefore, Therefore, I hope Titus won’t mind my looking for a cartoon analogy for himself. I don’t have to look very far. According to his loyal colleagues (and his biographer), Titus was a good-hearted and jovial man with a quick temper and scathing vocabulary. It wasn’t easy working with him. That sounds a bit like the inimitable Captain Haddock, the retired merchant sailor who was Tintin’s most dependable human companion. Haddock had a unique collection of expletives and insults, providing some counterbalance to the exceedingly polite Tintin. Yet beneath the veneer of gruffness, Haddock was a kind and generous man. It was their complementarity that livened up the globally popular stories, now a Hollywood movie by Steven Spielberg awaiting December release. Titus was also a true ‘Gulliver’ whose restlessly imaginative mind traversed space and time — even after he was confined to one place during the last dozen years of his life.